Notes before Poem! Scroll down for the actual poem! Have you ever met someone and you instantly knew you liked that person. You just clicked! That happened to me not long ago - I met Glory and we instantly bonded. We have a lot in common, but we also knew we had a lot of differences. 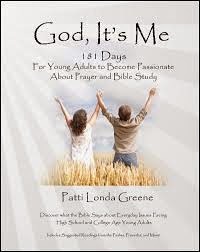 As I was putting the final touches on my recently released devotional book, God, It's Me: 181 Days for Young Adults to Become Passionate About Prayer and Bible Study, I prepared myself to ask Glory if I could use some of her poetry excerpts in my own book. I made up a folder showing her exactly how her poetry would be used in the book along with her excerpts that I matched to my already chosen pictures. 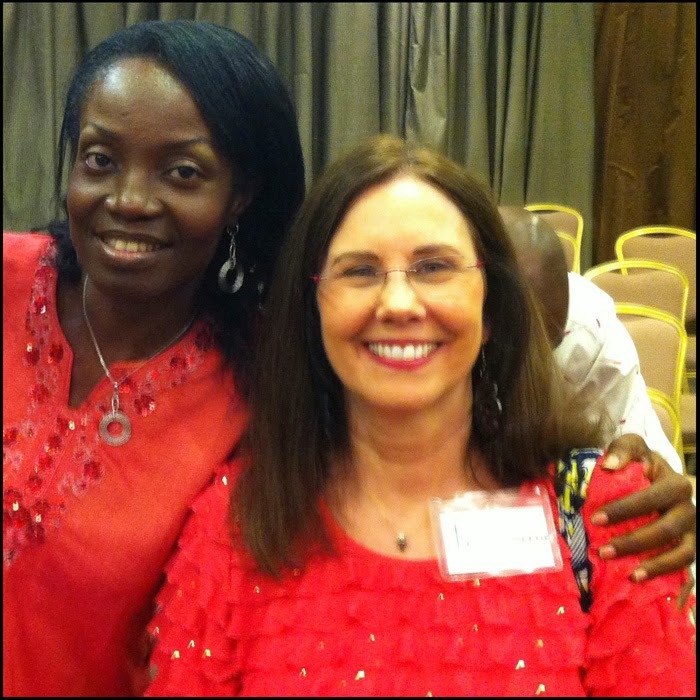 You know, after 18 years of being a librarian, I felt like I knew how possessive writers/authors/poets could be about their work, so I was understandably nervous when I asked her that one Sunday morning at church at the Four Points Sheraton Hotel in Lagos, Nigeria. While I was anticipating a possible "No" or a "Let me think about it," I remember Glory's big, brown eyes opening as wide as a raccoon. She was amazed that I was even asking her at all. She immediately said, "YES!" I was thrilled. You see, Glory is the type of person who writes for the Lord. She gives him the credit and all the "glory." She even encourages people to share her God-inspired poems. It is in this spirit, I am sharing Glory's most recent poem titled Depression. It is written for all who have or will ever encounter depression in their lives. As you read this poem you will see that the catalyst for this poem was the recent passing away of the well-loved comedian Robin Williams. In lonesome cell whose innards scream, “Turkey!” at a dignitary. May, it seems he never can wear out that awful, unwanted skin. In the middle of his day and like rag, the jewel is tossed into a hole. Would have been expiring, if aid’s arrival proves timely. Of desperation are sharp enough to cut that rope of hope. He yet feels it in those places where no other can see or tell. And he wakes to the revulsion of complicated addictions. By its perennial indifference than the fruits of his queerness. And death: everyone you meet is in warfare, your vote counts. I remember growing up. I used to have dark days. It carried labels like, “Melancholy,” “Depression,” among others. It is considered the blight of the talented and a norm. You didn’t have much choice but to live with it. And I did for many years until the LORD broke through and delivered me. Sometimes, it just happens and down you sink. At others, it may be just a look you are not comfortable with, an unkind comment, or even being ignored, that triggers it. You have no control over when it descends and how long it lasts. Until you wake up one day and the sun is up, and following that lead, you crawl out to discover that all around is cheery once again. Recently, I went through tragedies and instead of the typical accusers that make you feel wretched despite your achievements or tend to strangle you with guilt for errors, I was invaded and besieged by fears. They showed up in everything, every time, and everywhere I turned. I looked like I do every day, smiled as usual but deep down were cries no ears could hear. My world was crumbling but to everyone else, I was the same. God helped me walk through without hitting that dreaded bottom. It has been 14 years now and counting and I have never set my foot in that pit of a prison. We are often so consumed by our personal pursuits that we become inured to the travails of those around us. Just like love and encouragement have helped many conquer their battles, our indifference and insensitivity can complicate matters for the weak. If only we can learn to stop and think again before we shoot. Imagine how much difference that will make in a world where the broken are trampled on every day? From experience, I know of only one cure that delivers without side effects, no relapse, and not at bank-breaking cost: Jesus: And whoever the Son sets free, is free indeed. Please feel free to forward/share this blog with your friends and family. And, we would love you to comment!